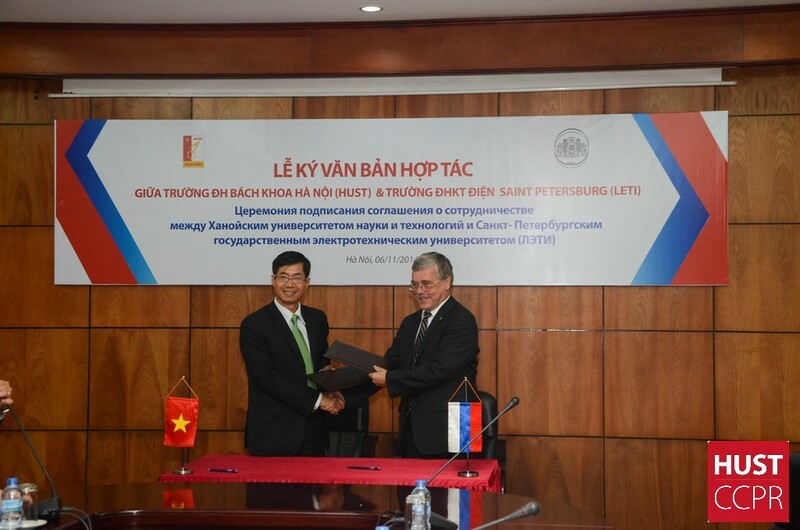 Hanoi, Vietnam – November 6th, 2014 – Hanoi University of Science and Technology (HUST) and Saint Petersburg State Electrotechnical University (LETI) – Russia signed a Memorandum of Understanding (MOU) on collaboration in training, researching and technology transferring. The MOU Signing Ceremony was held on the campus of HUST with the presence of Prof. Kutuzov Vladimir Mikhailovich – LETI Rector; Prof. Tupik Victor Anatolievich – LETI Vice Rector, Assoc.Prof. 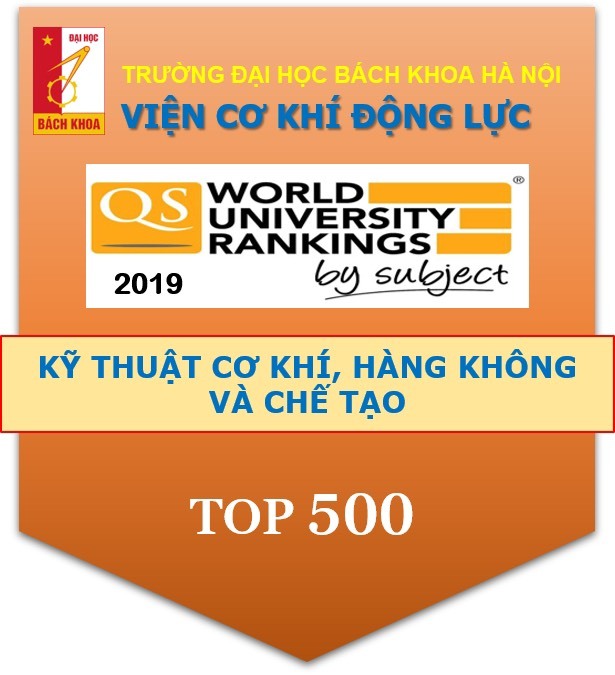 Dr Nguyen Thanh Nghi – LETI’s representative in Vietnam, Assoc.Prof.Dr Pham Hoang Luong – HUST Vice President, HUST’s representatives from departments, schools and a number of LETI alumni in Vietnam. 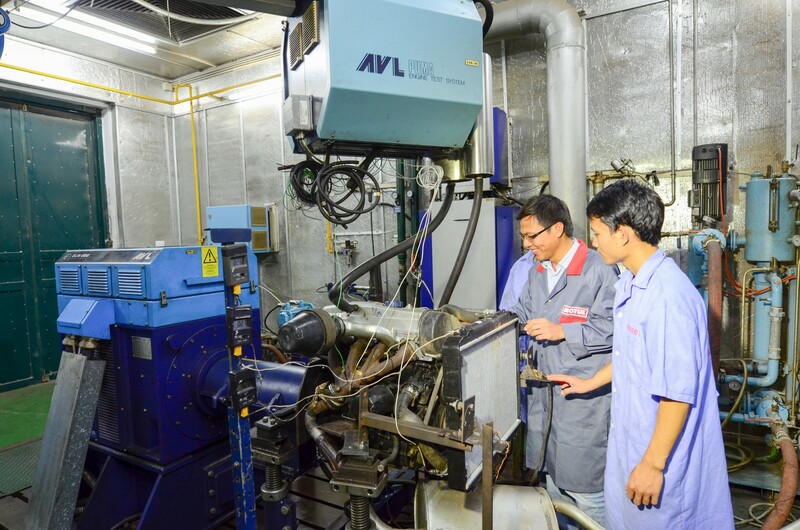 The detailed cooperation activities include: Exchange of technical information; Exchange of graduate and undergraduate students; Exchange of professionals for a short, medium or long period of time and joint research, advisory and consultancy activities. At this MOU signing ceremony, HUST’s Vice President, Assoc.Prof.Dr. Pham Hoang Luong said “HUST highly appreciates the collaboration with LETI in human resource training. This signing event will mark a significant step in the fruitful and close relationship between the two partners”. Addressing at the ceremony, LETI Rector Prof. Kutuzov Vladimir Mikhailovich expressed the thankful attitude to HUST for organizing the solemn MOU ceremony and confirmed that LETI strongly believed on an effective collaboration with HUST in the coming time. 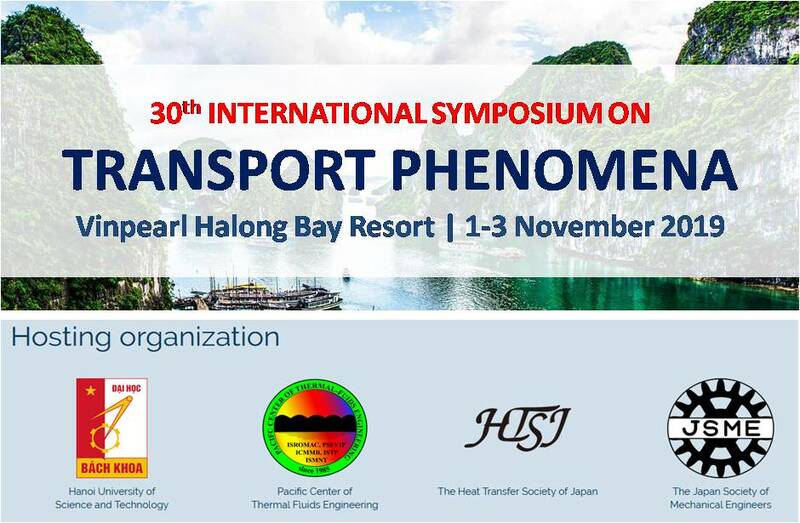 On this occasion, HUST and LETI have successful organized an international conference with the participations of more than 40 LETI alumni and researchers of HUST, LETI. 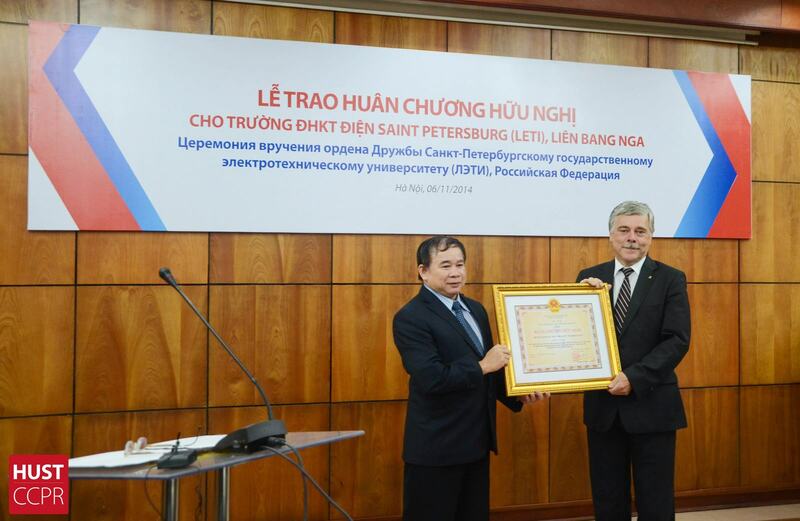 On the same day, Vietnamese Government represented by Ministry of Education and Training awarded the Vietnamese Order of Friendship Medal to Saint Petersburg State Electrotechnical University (LETI) – Russia at Hanoi University of Science and Technology (HUST) for the long and stable support to Vietnamese higher education system and the enhancement of high level expert capacity of Vietnam. The Awarding Ceremony was organized with the precious presence of leaders from of Ministry of Education and Training: Assoc.Prof.Dr. Bui Van Ga – Vice Minister; Assoc.Prof.Dr. Pham Quang Hung – Acting Director of Department of International Affairs. Mr. Alexander Maslov – First Secretary, Embassy of the Russian Federation in Hanoi, Vietnam attended the event on behalf of the Russian Federation Government. 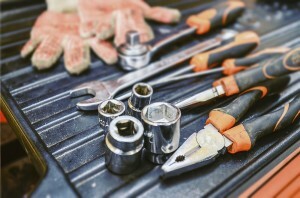 “LETI was one among some advanced technical universities of Russia who had been efficiently transferring updated technology to Vietnam as well as promoting the establishment of Vietnam – Russia University” – said Assoc.Prof.Dr Bui Van Ga – Vice Minister of Ministry of Education and Training at the Awarding Ceremony. On this event, LETI committed a reinforced collaboration with Vietnam in training the high quality experts, education, research and technology transfer to fulfill the need of Vietnam in high quality human resource.